“Columbine Lake is a private, covenant-controlled community. 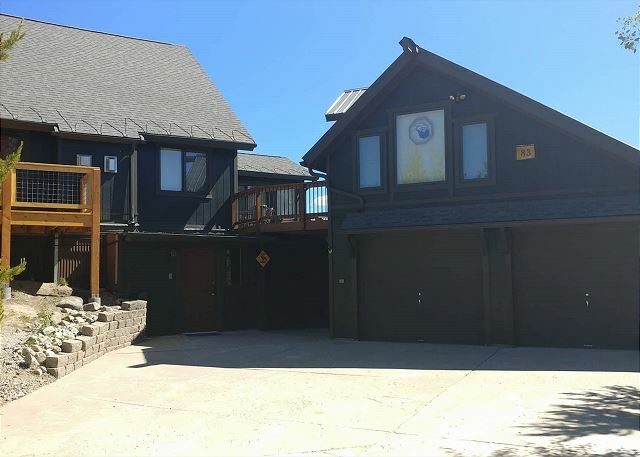 Renters are not allowed to use the clubhouse, gazebo, horse pasture, OHVs or Columbine Lake.” Plan on using one of the other three lakes (Grand, Granby and Shadow Mountain) for all your lake activities.”. Keep in mind when booking, that this property is located in a quiet neighborhood with owner residents. Many of my family members stayed here for our daughter’s wedding at Winding River Ranch. What a lovely house and so comfortable . My daughters, friends friends and I had one hilarious night in the bunk house above the garage . The stars were unbelievable and the view of the lake couldn’t be beat. Absolutely wonderful time. Thank you so much. We are thrilled things went so well and you had such a good time. You are quite welcome and we'd love to have you back. Glad to hear it Kevin, we look forward to your return. Loved the deck and view! Amazing house for our family reunion. We had 12 people and the house was perfectly sized with great sleeping accommodations. The deck and view of the lake was amazing! Location was perfectly set back away from Grand lake but close enough to easily enjoy the activities in the area. 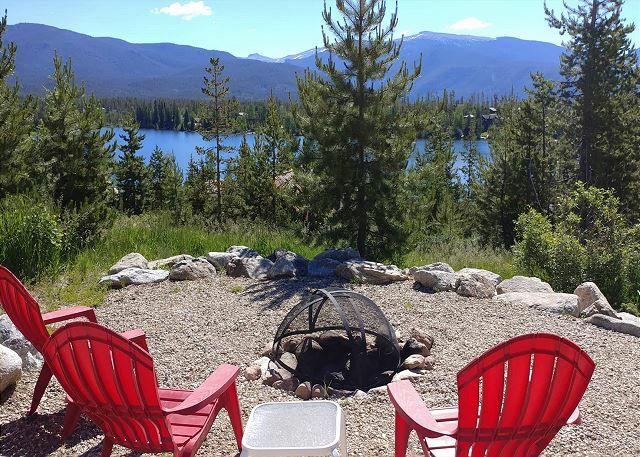 We frequently vacation in Grand county and this is one of the best places we have ever rented. You will not regret staying here. So happy to hear your family reunion was a success. Come back and visit us again. Eagle Landing Lodge was the perfect fit for 11 members of our family. 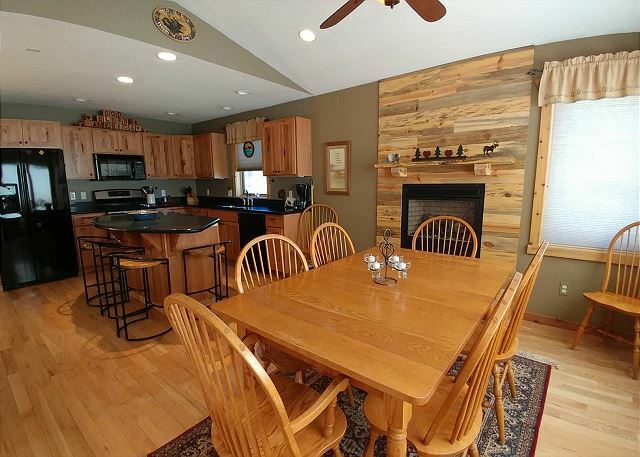 There was plenty of space to be off by yourself or for all of us to gather around the dining room table for games! We enjoyed the large deck overlooking the lake. We spent a great deal of time there. One morning we even had a moose come right by the deck! We will come again! Thanks Lori. Glad you enjoyed your time with us, we'll look forward to seeing you again in the future. Clean, spacious, updated home with beautiful views! This home was perfect for our family! It was very clean and updated. The layout worked perfectly for our multi family group with kids. And the views were amazing. 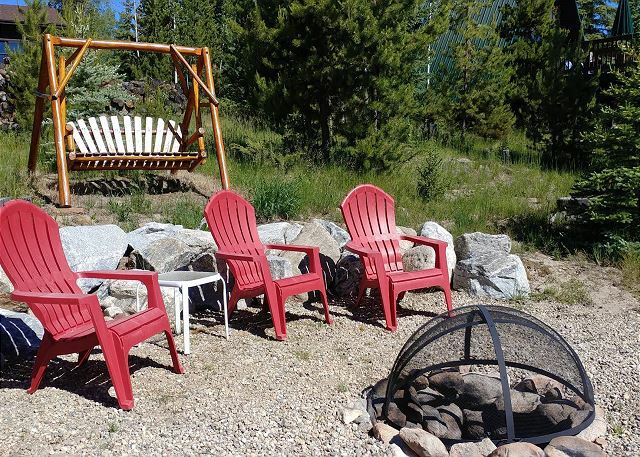 We called the rental company to see if there were more chairs for the fire pit area and they immediately brought over new chairs to accommodate us! We rent from Grand Mountain Rentals every year and always have an amazing experience! Thanks Laura, we appreciate your confidence in us. We look forward to your next visit! We stayed in this comfortable home for 5 amazing nights. We were 6 adults and 6 children. The home was very clean. The views were amazing. We saw wild life right in the yard. Chipmunks, deer, moose, magpies and squirrel. The boys enjoyed the over garage room very much. They suggest a better TV in there but we(the parents) suggested that they spend time outside. Lol The kitchen was well stocked. They had a crockpot, rice cooker, coffee pot and a great assortment of pots pans and knives to cook with. 2 complaints, if you have 12 people the water heater cant keep up. After 3 or 4 showers there was no more hot water. Not a huge problem more of an aggravation. There are no fans in the bed rooms so if you are used to the noise or the air moving Id suggest you bring one. The couple at Grand Rentals were awesome. We didnt have enough towels and she immediately came bring us some. A fan wasnt working and he came fix it. They also had suggestions on a beautiful hike and drive that we had never heard of. And did I mention the view? We had a great great family vacation! The decor was very tasteful and seemed like it had a lot of thought out into it. We are so very happy that you enjoyed your stay at Eagles Landing Lodge and had such a fun time! We are also very pleased that you enjoyed your drive to and hike around Monarch Lake. It's one of our favorites in this there really are no bad hikes anywhere in Colorado! Come back again! Would definitely stay here again. The home was fully equipped with everything you need, and the view was amazing. There were 7 Of us, besides not having enough seating in the main living room, we had plenty of room to spread out and do our own things. Also we saw moose, fox, and other wild life right off the porch. Great place! Management company was also very helpful in answering any questions. This home was everything we needed and it was beautiful! It was very clean, kitchen was stocked well and you can tell the owners take a lot of pride in their home by how well kept it is. Thank you for helping make our Christmas Colorado vacation perfect! Our family very much enjoyed our time at the property. It was beautiful, comfortable and very well-maintained. It was perfect to accommodate our big family and close proximity to the activities we enjoyed. Great customer service was provided by the management company. We hope to return next year! Thank you for the nice review! 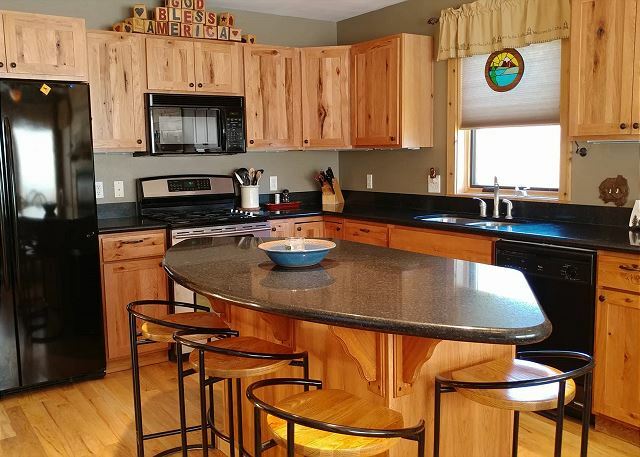 Eagles Landing Lodge is a very lovely and well-maintained home and we are so glad you enjoyed it with your family. We look forward to welcoming you back! The house was great. Location was not too far from town easy to find period house was totally stocked with everything you could need beyond the essentials. The owners put a lot of thought into the house to make it feel like a home instead of a vacation rental. House was in great shape very clean management company with Stellar to work with answered lots of extra questions. The bedroom over the garage was great for our family. Really a great layout we had 12 people but was never crowded. The smart TVs were easy to use and easy to stream the internet connection was strong with multiple devices on it. Great place well worth money view was lovely deck was great fire pit even better. Brought a group of guys up for a golf weekend in the area and Eagles Landing suited us perfectly. 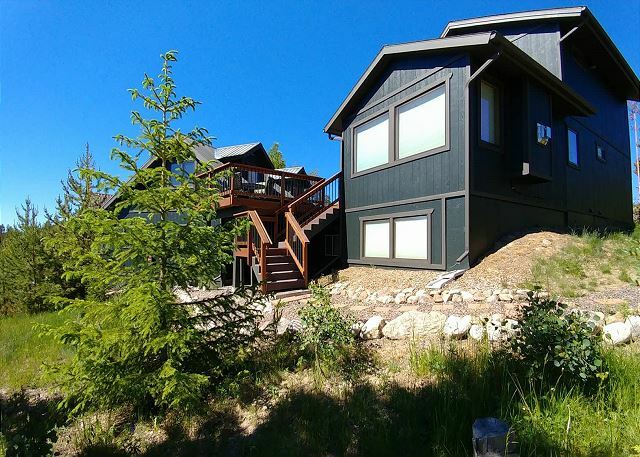 Plenty of bedroom space, a great deck overlooking Columbine lake, the firepit....everything was in great condition and suited our needs well. Would definitely recommend staying here and look forward to coming back myself. Great stay with fabulous view. Our stay at this Columbine Cabin was great. The home was updated nicely, though honestly we stayed on the deck or at the fire pit most of the time! Both were wonderful and the views are better in person than online. We'll be staying here again in the future! Our extended family just had a weekend stay in this gorgeous house. I cannot say enough good things about it. The set- uo is perfect, with kids quarters attached to the main house by the deck. The view is stunning and the house is set up with everything you could possibly need and is absolutely gorgeous. We plan on coming back every year, best place we've stayed. Rental property company was super helpful and friendly as well. Thank you for the great review! We are so happy you enjoyed your stay. Eagles Landing Lodge is a fantastic home in a great area. We look forward to welcoming you back! We had a wonderful time staying at this property. It was more than enough room for our group of four (2 couples) and provided the perfect weekend get-a-way as we skied Winter Park. Just a 30-40 min drive to the slopes and when you get back to the cabin you have a comfortable and cozy retreat with spectacular views.